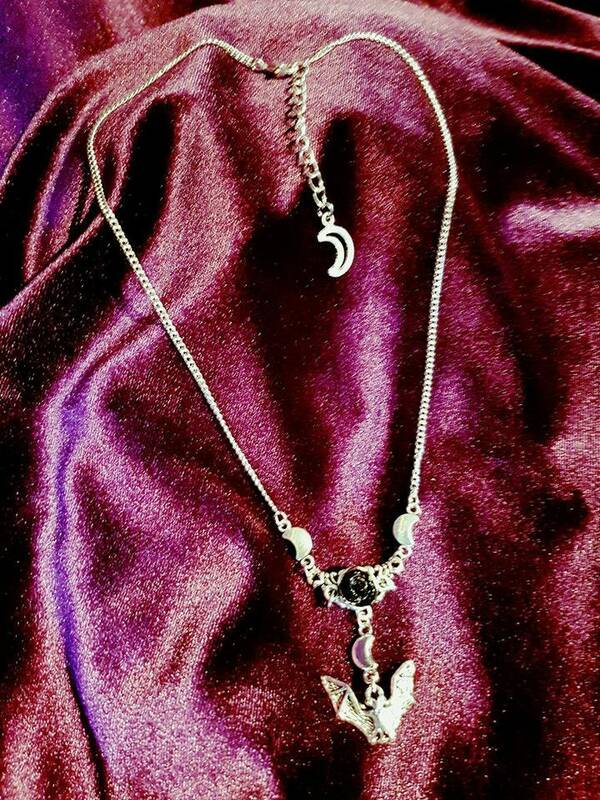 - 3 Mini crescent moons. 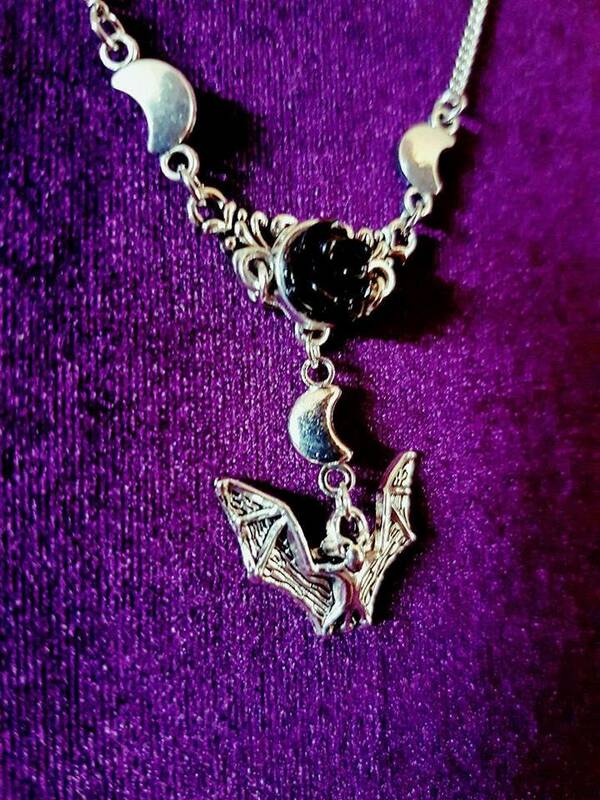 - Flying bat at the bottom. 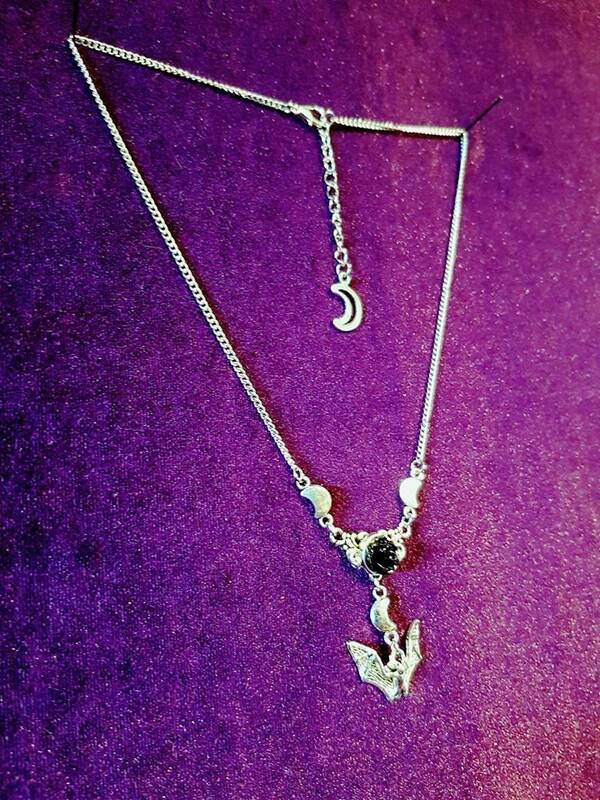 - 42cm long chain +5cm extension chain. 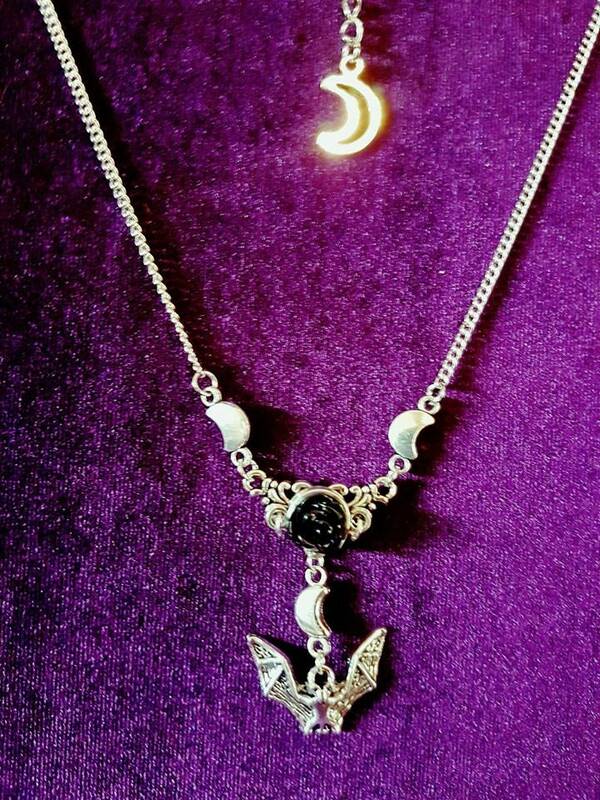 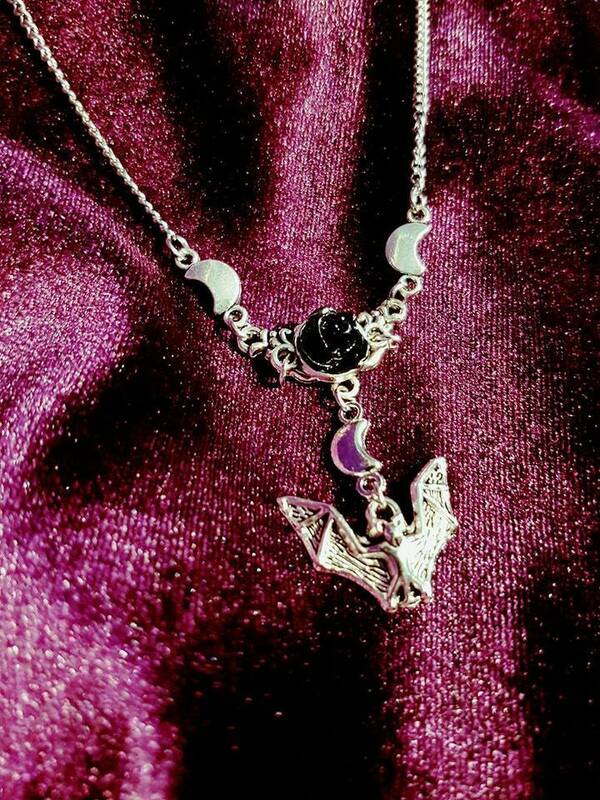 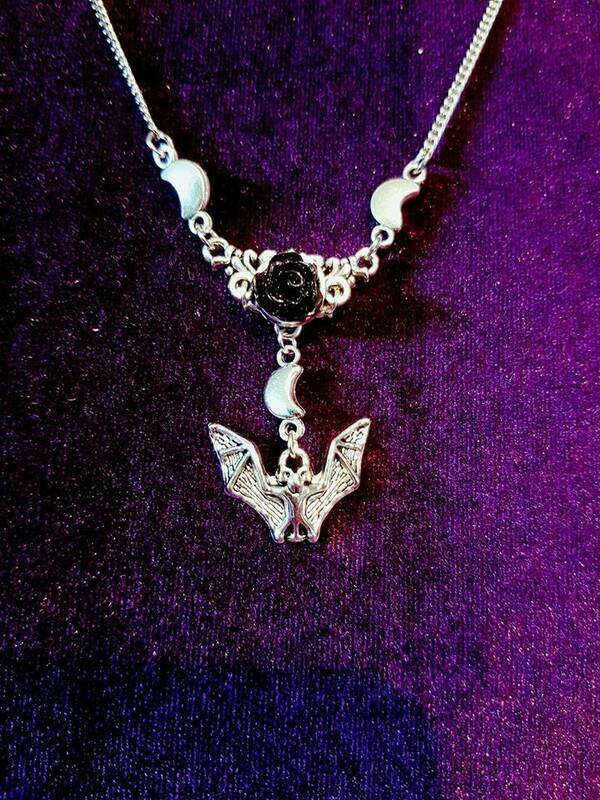 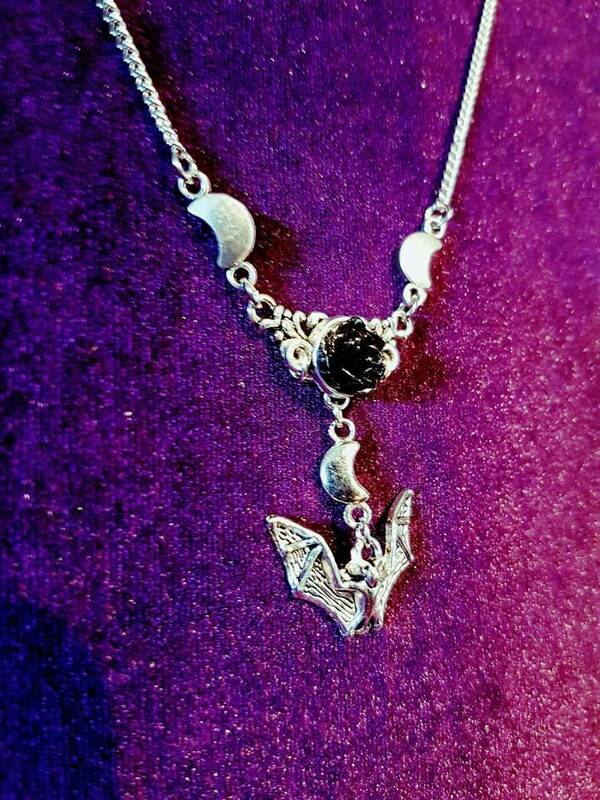 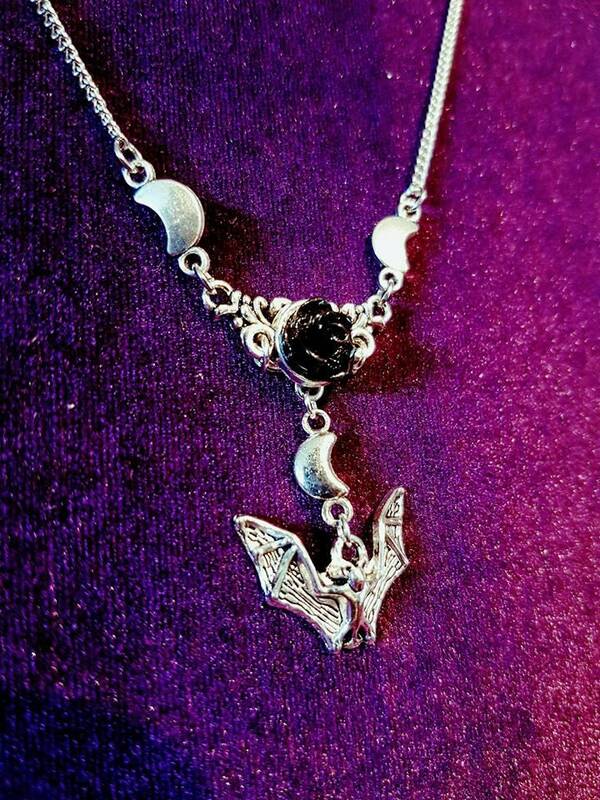 - Extra crescent moon at extension chain.